The Hong Kong Documentary Initiative is putting on screenings and workshops with two world class documentaries – Academy Award winning director Thomas Lennon and Academy Award nominated director James Longley. 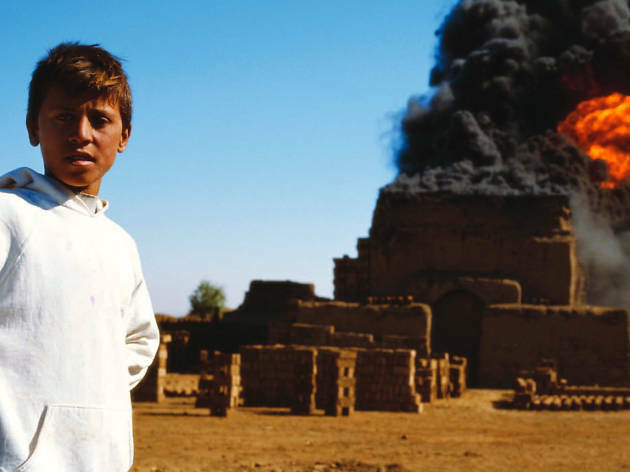 Monday October 31 – Screening of Iraq in Fragments (2006) and Q&A with James Longley. 7.30pm, Theatre 303, Chong Yuet Ming Cultural Centre, HKU. Tuesday November 1 — Screening of Sari's Mother (2006) and Q&A with James Longley. 7.30pm, Theatre 303, Chong Yuet Ming Cultural Centre, HKU. Wednesday November 2 — Workshop ”Storytelling for a Global Audience: Filming characters of different cultures and reaching and international audience”. Speakers: James Longley and Thomas Lennon. 7.30pm, Yuet Ming Auditorium, 5/F, Chong Yuet Ming Cultural Centre, HKU. Thursday November 3 — Screening of The Warriors of Qiugang (2010) and lecture on “Narrative and Non-Narrative Documentary Storytelling”. Speakers: Thomas Lennon and Ruby Yang. 7.30pm, Yuet Ming Auditorium, 5/F, Chong Yuet Ming Cultural Centre, HKU.